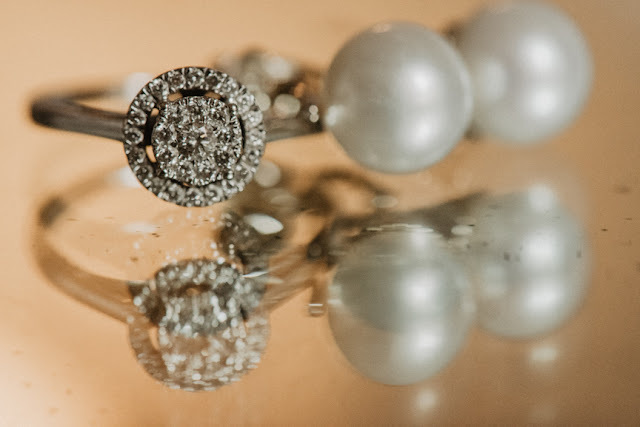 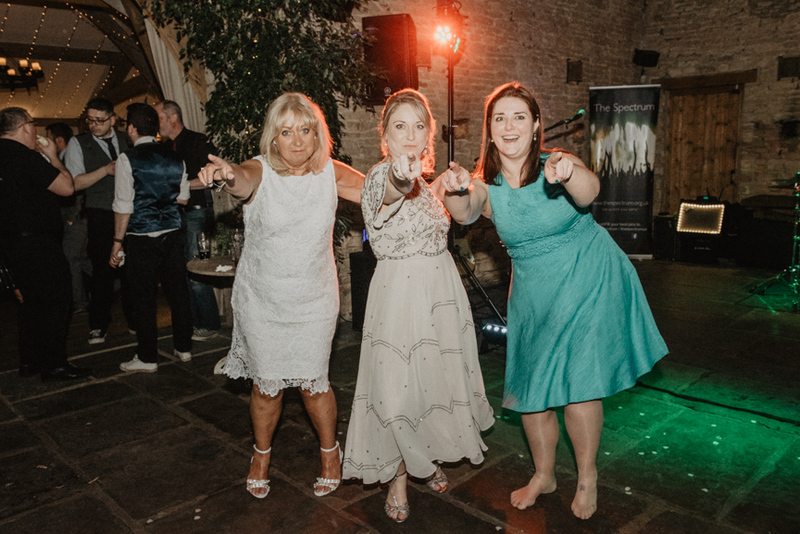 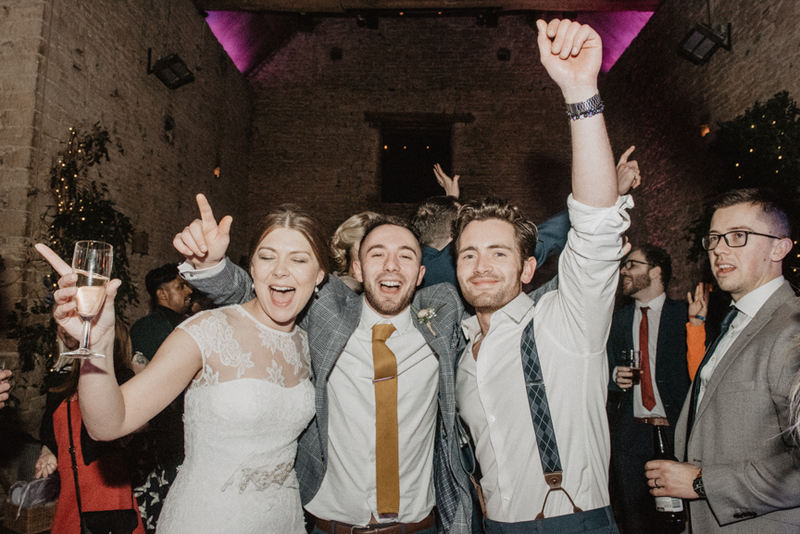 This was my first wedding of the year, and what a wedding it was! It fell really close and personal to Laura and Dave. They had a very laid back wedding with no seating plan and plenty of time to spend with friends and family. 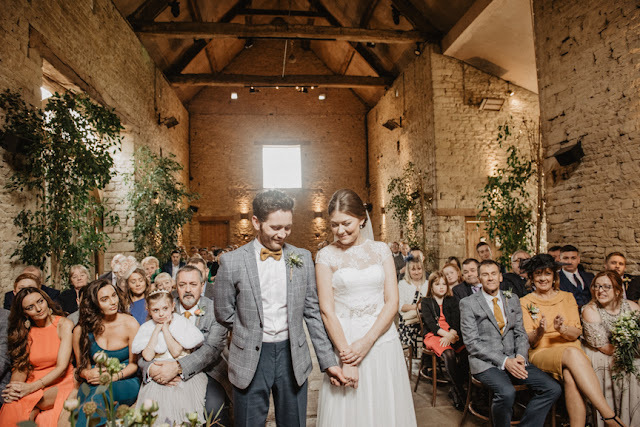 Cripps Barn was the perfect intimate location for them, with loads of florals and candles brightening the place up. 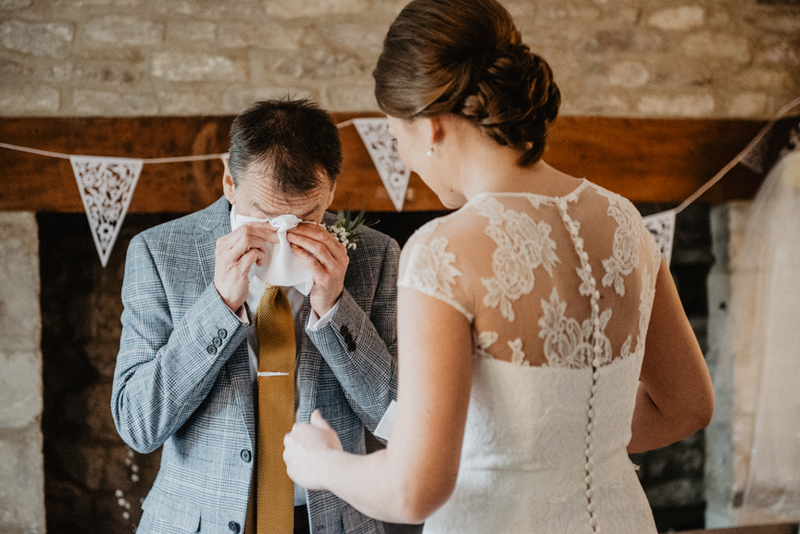 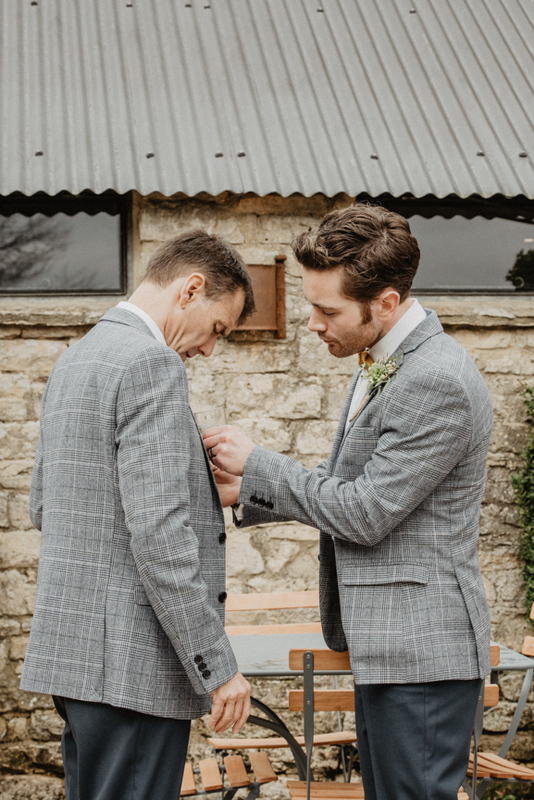 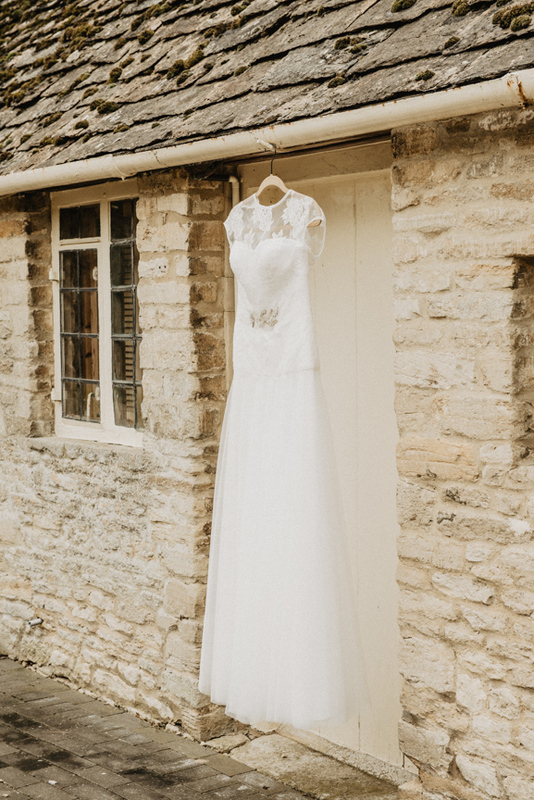 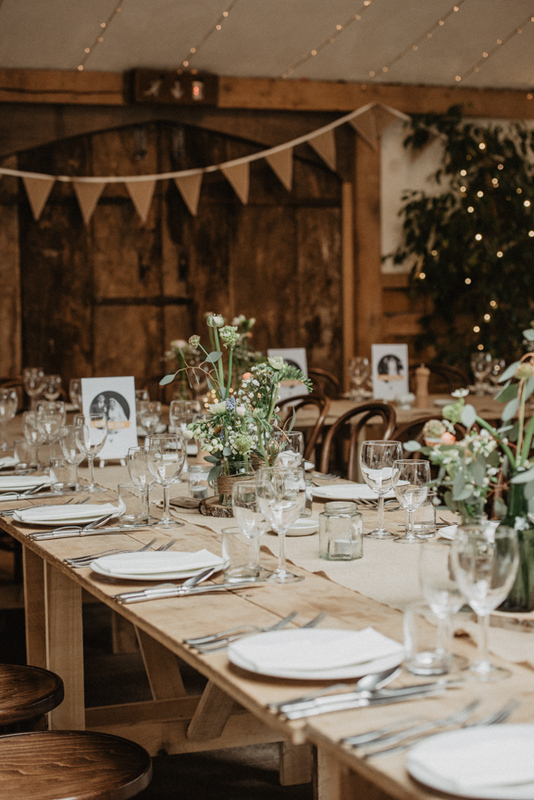 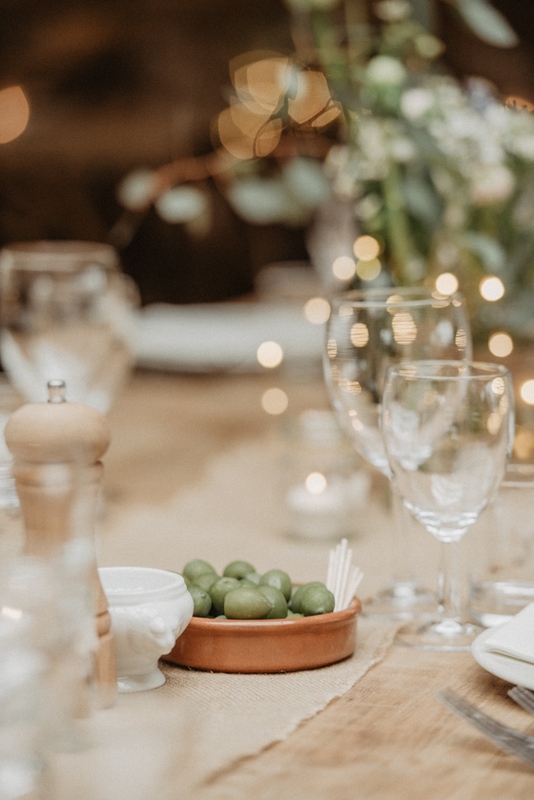 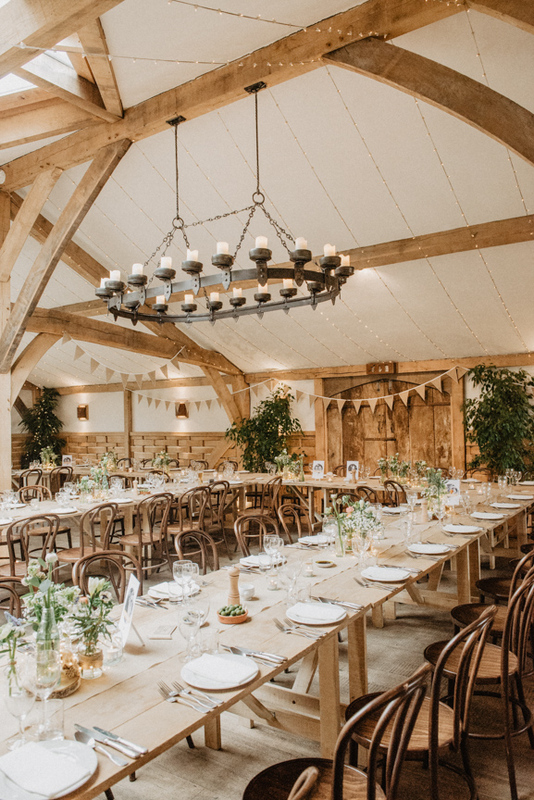 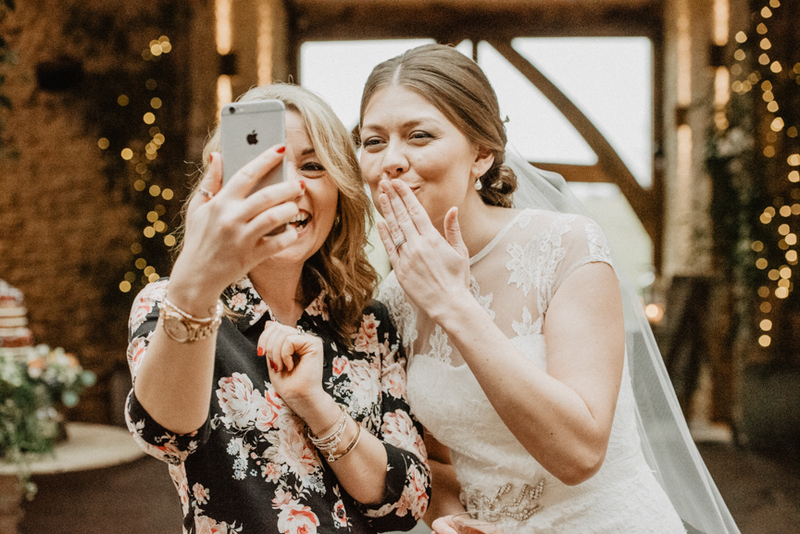 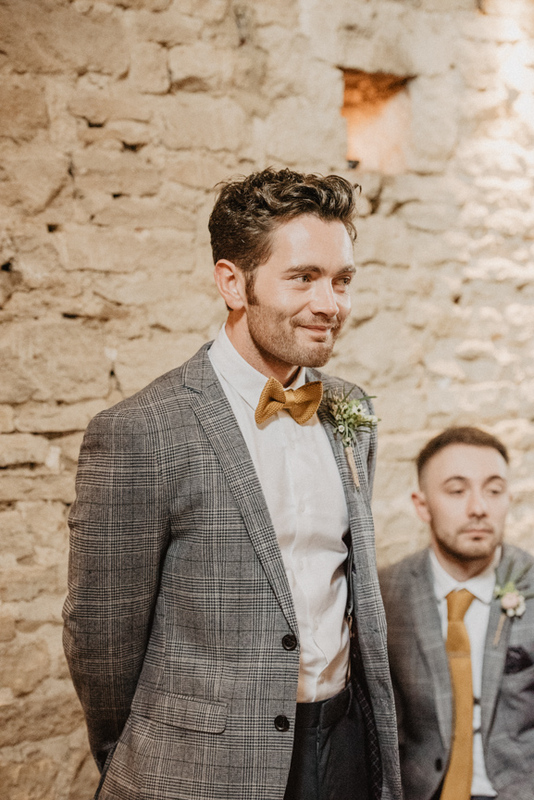 I do love a Cotswolds barn wedding (and always forget how close it all is to me!). 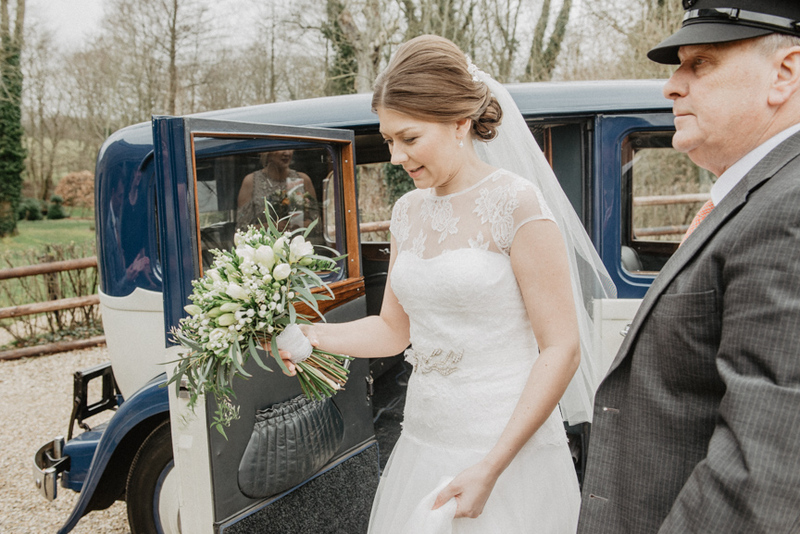 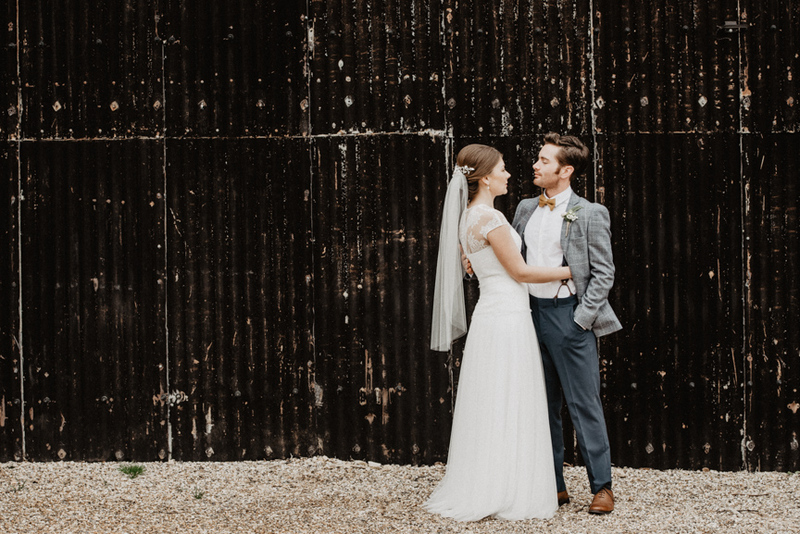 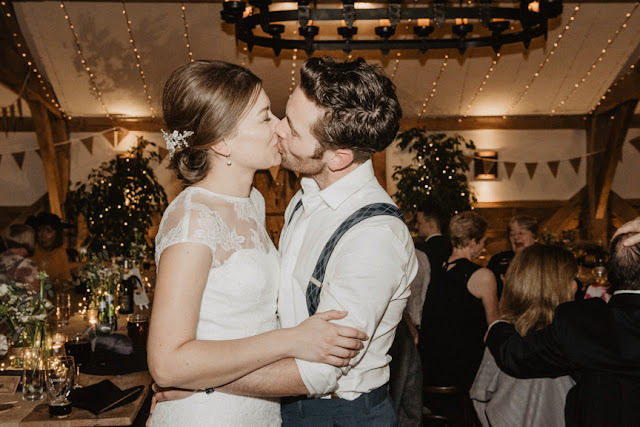 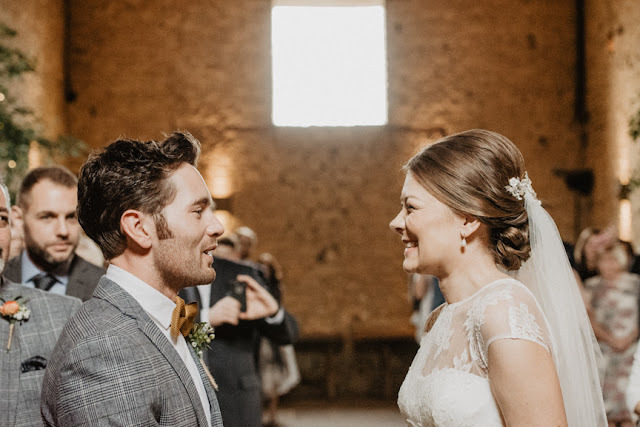 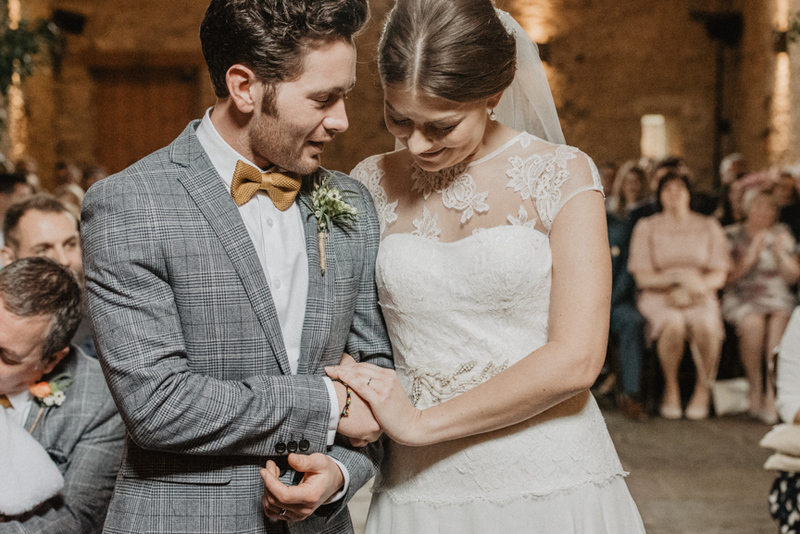 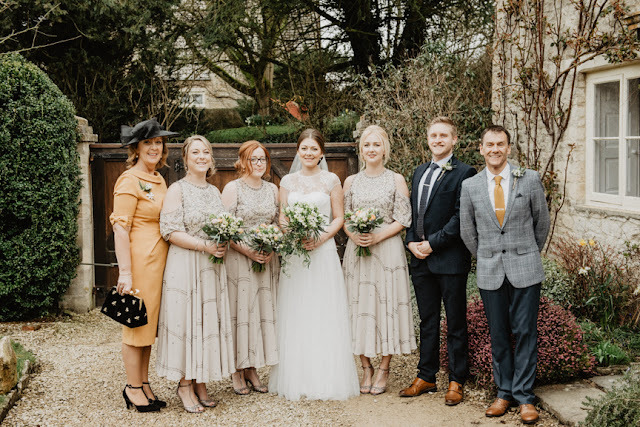 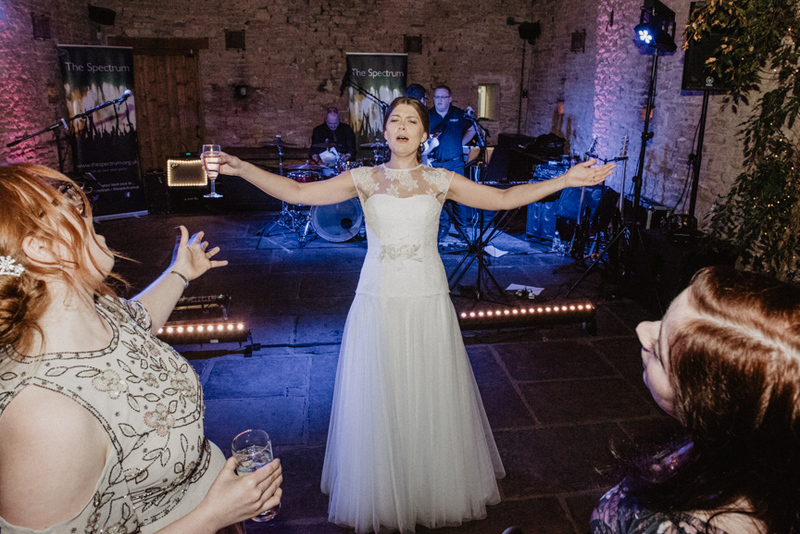 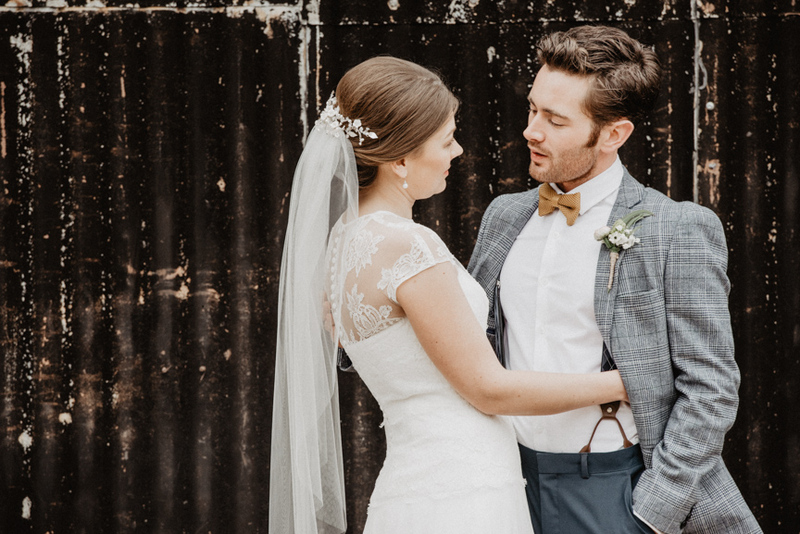 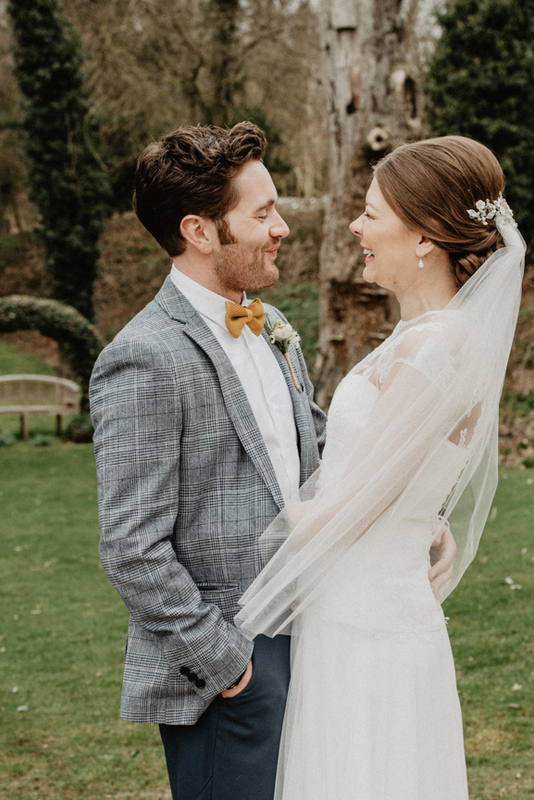 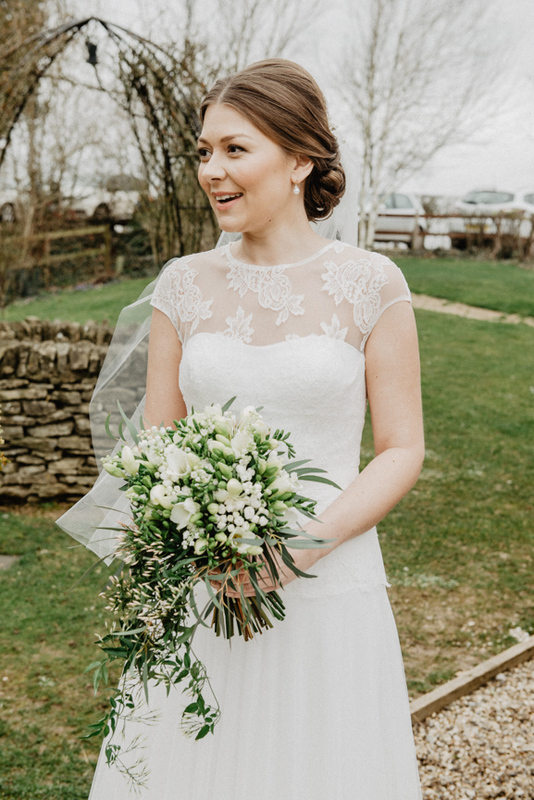 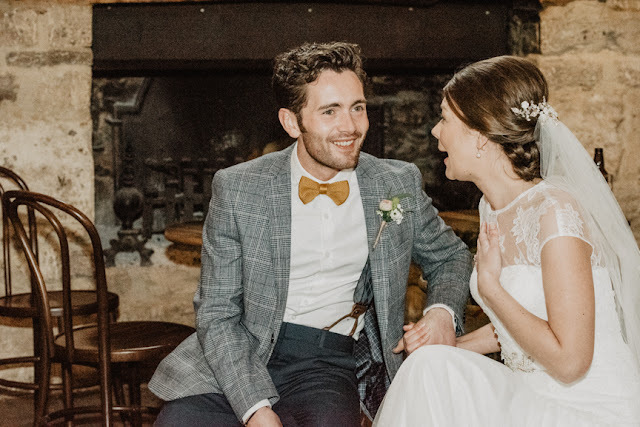 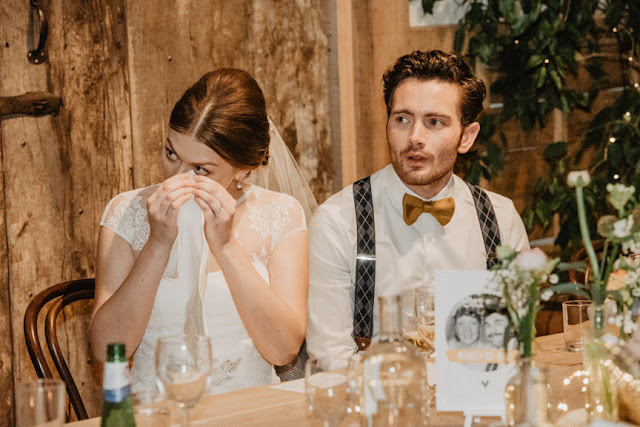 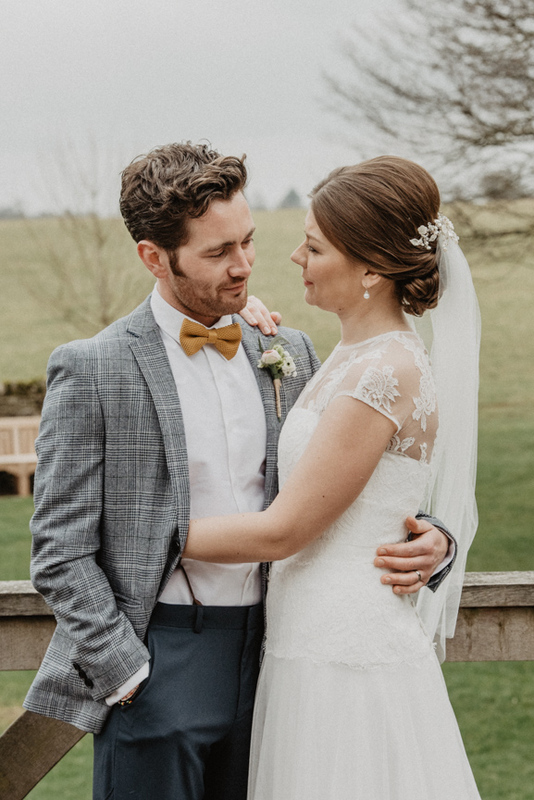 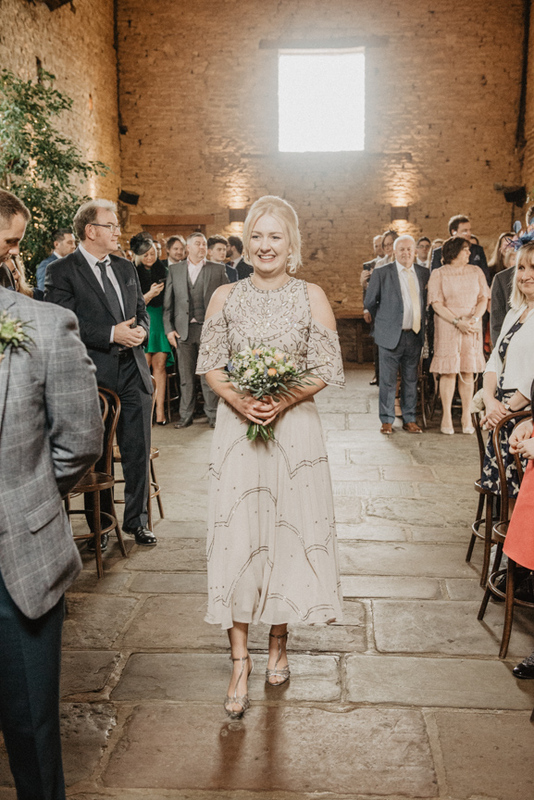 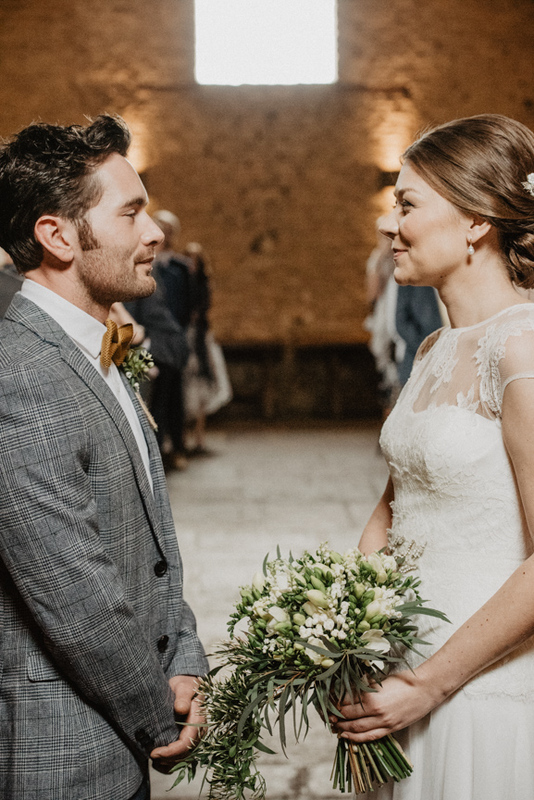 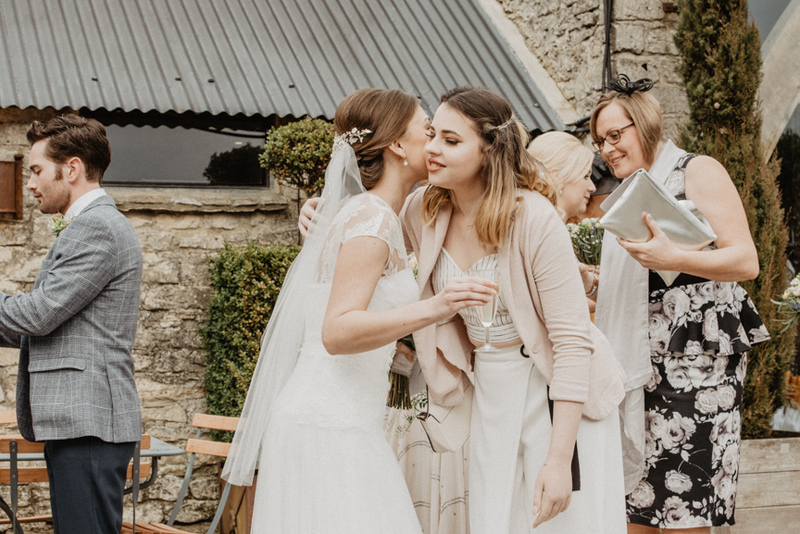 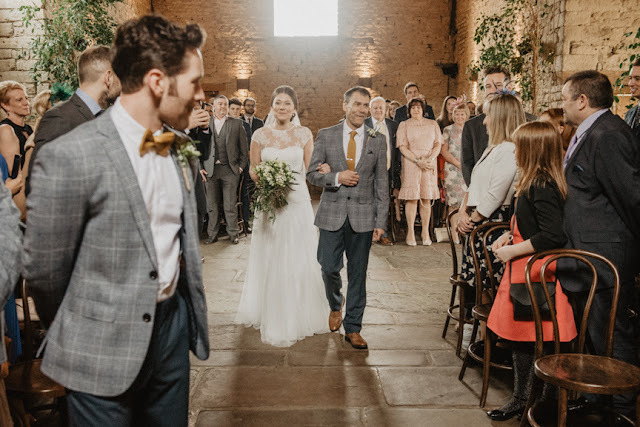 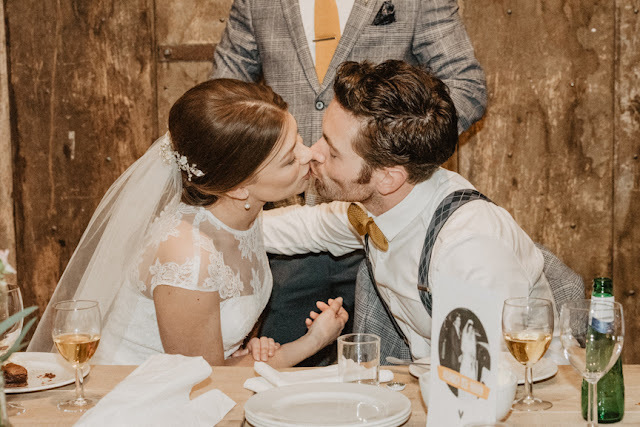 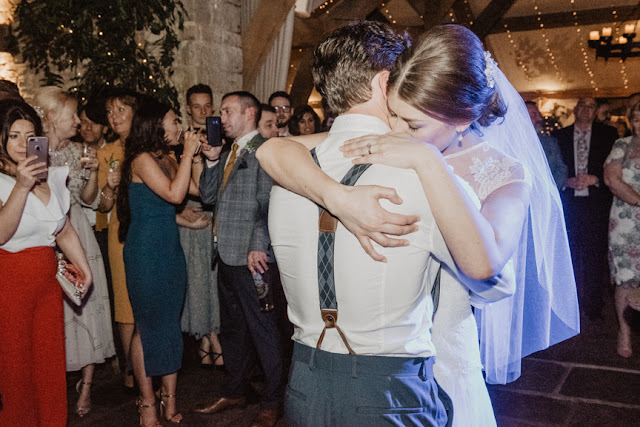 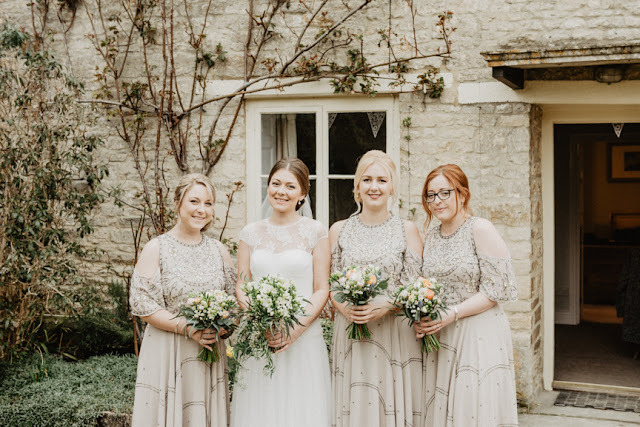 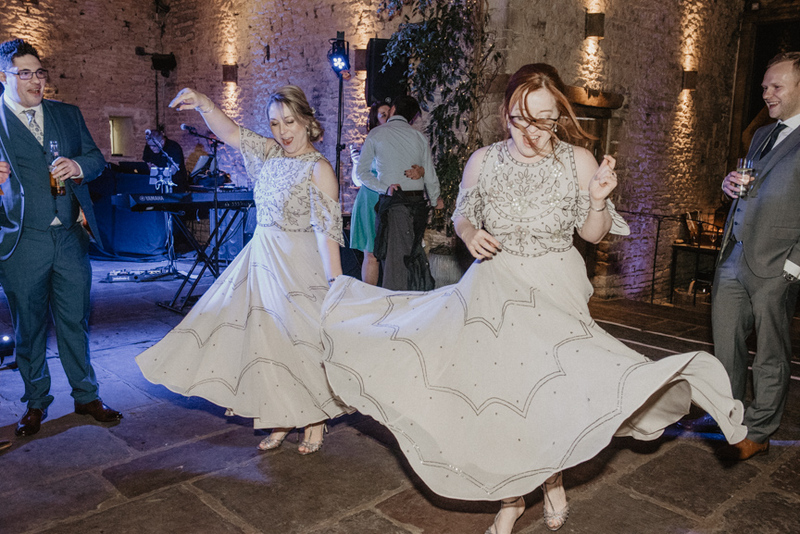 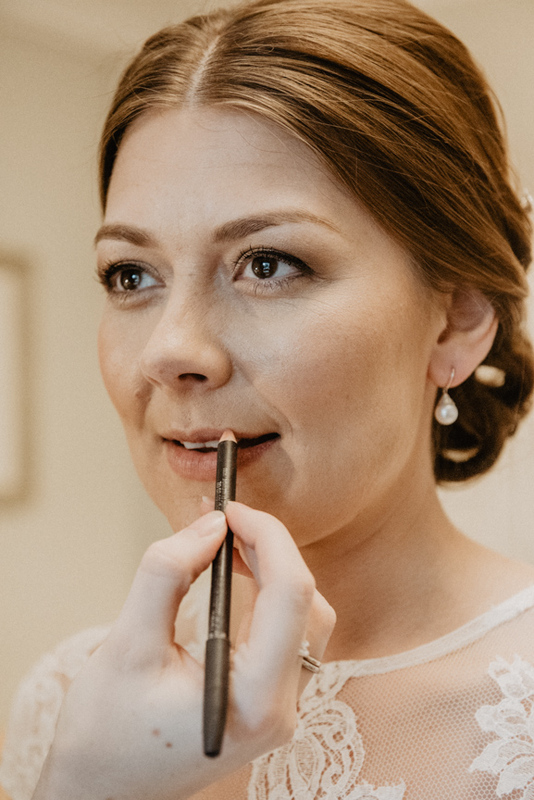 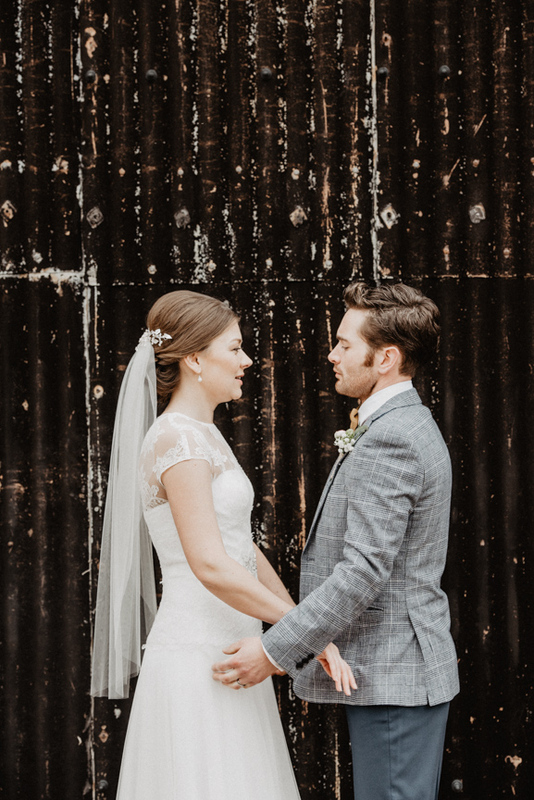 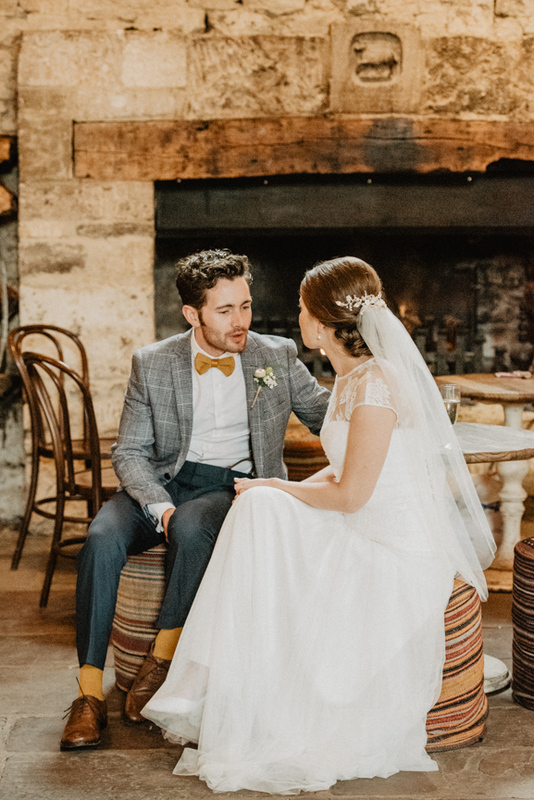 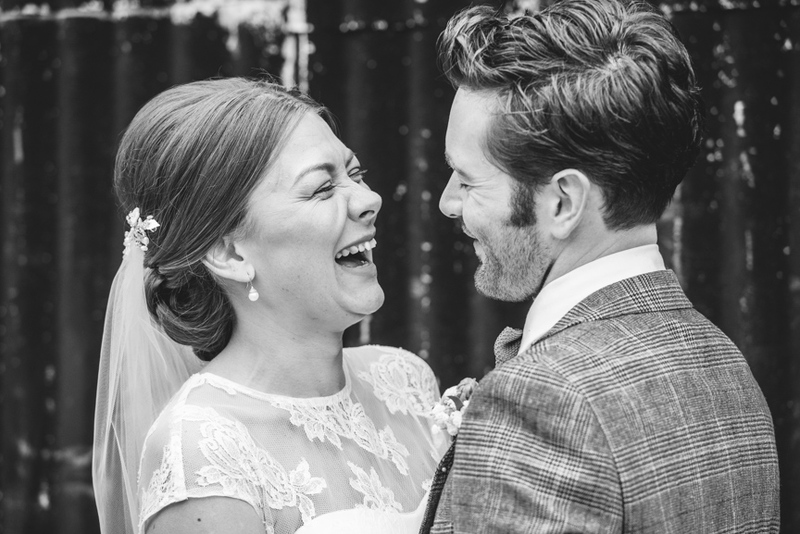 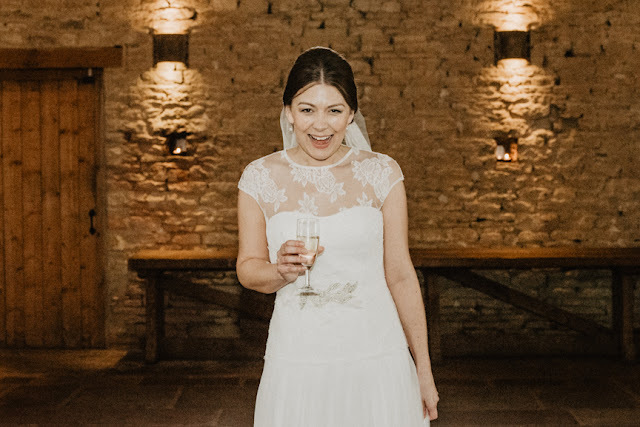 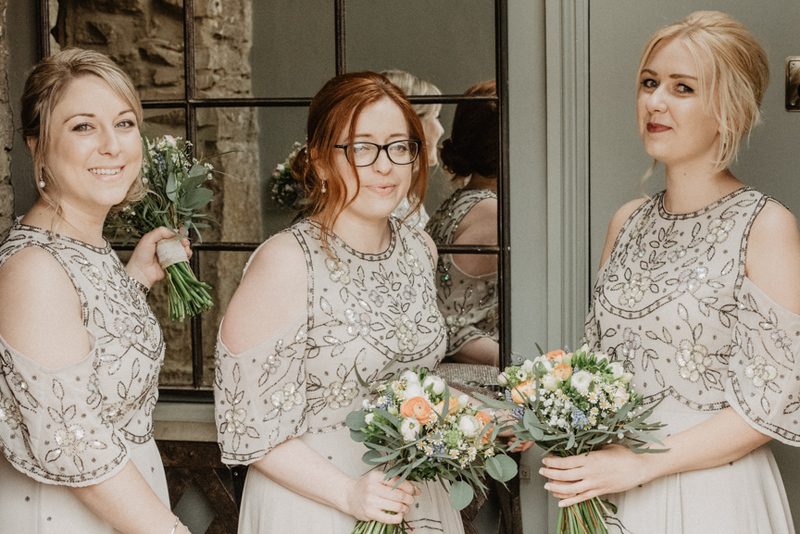 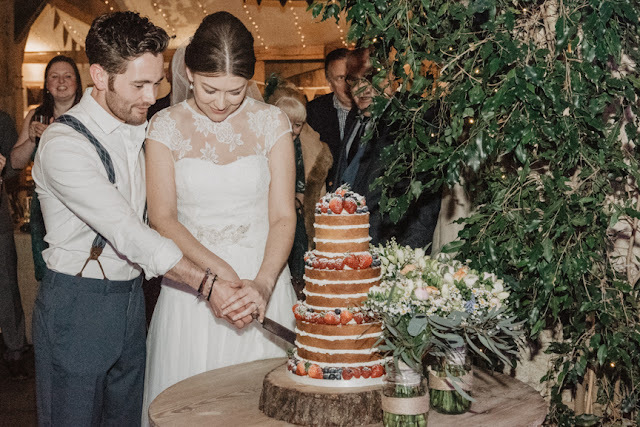 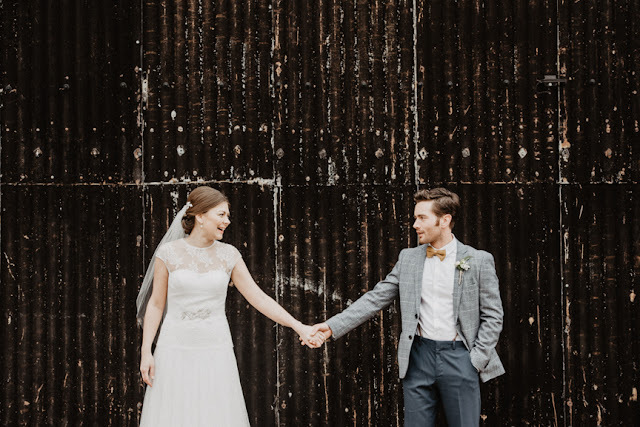 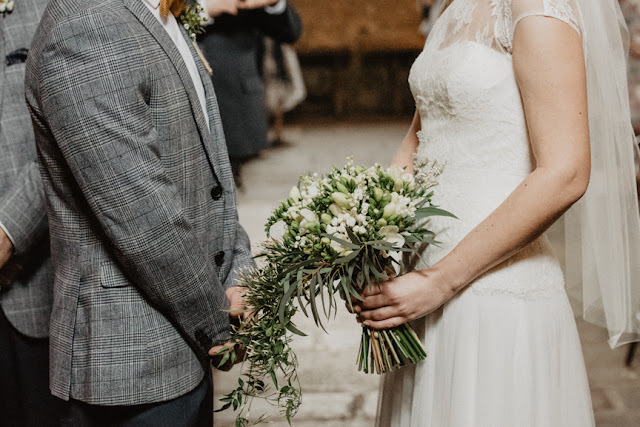 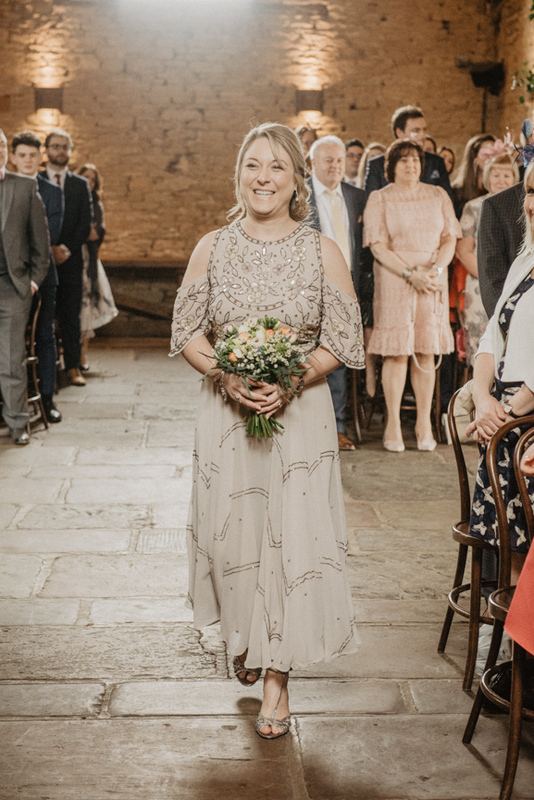 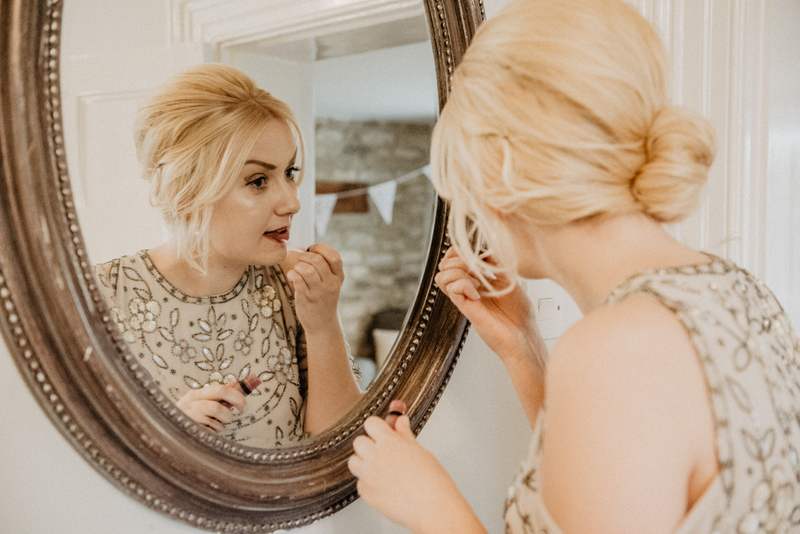 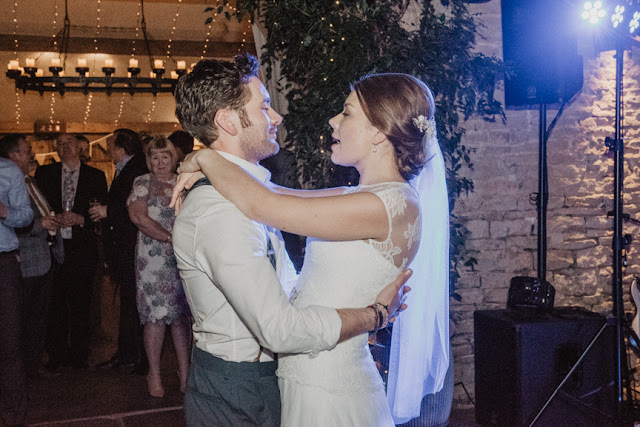 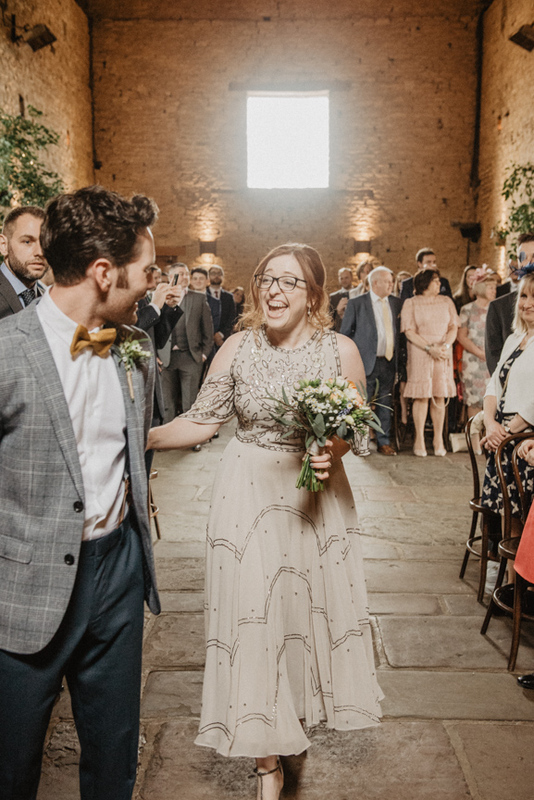 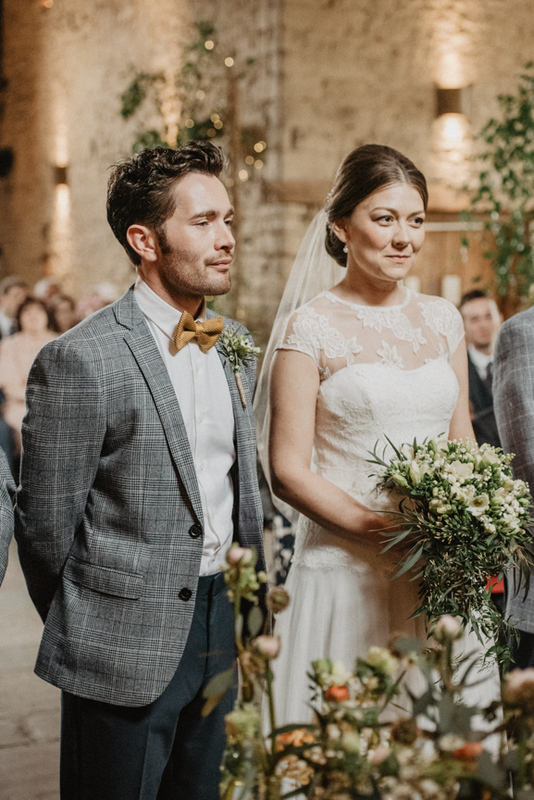 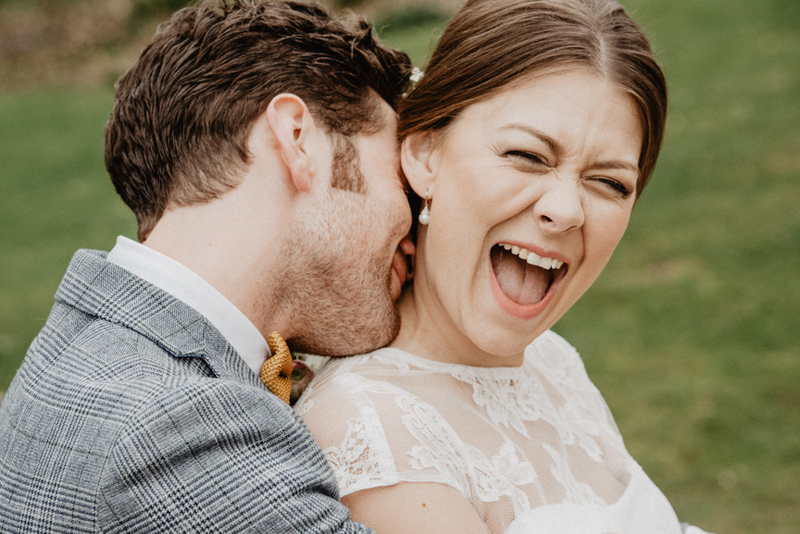 Laura wore a stunning Jesus Peiro dress from Isaac Charles Bridal House with a headpiece from Romany Ghani and hair and make-up from Lips and Locks. 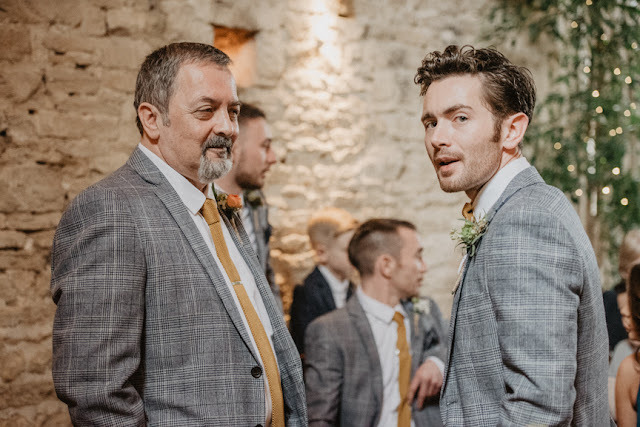 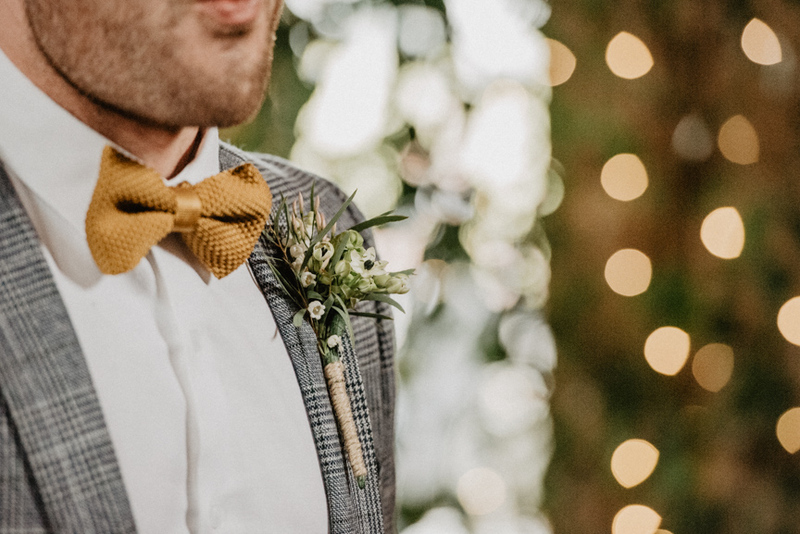 Dave wore a suit from ASOS with a mustard tie from Moss Bros. (there was A LOT of mustard at this wedding... and I love mustard!). 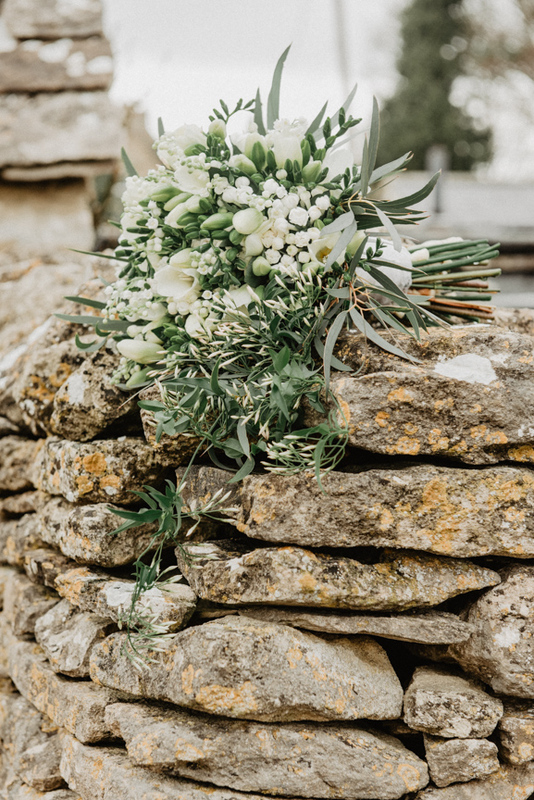 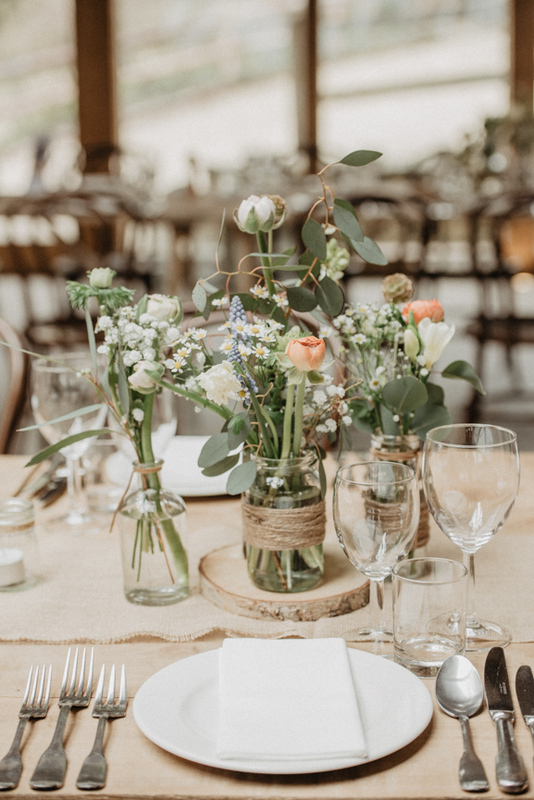 The flowers were from The Wilde Bunch, who also did the flowers for another Cotswold wedding I had the pleasure of photographing. 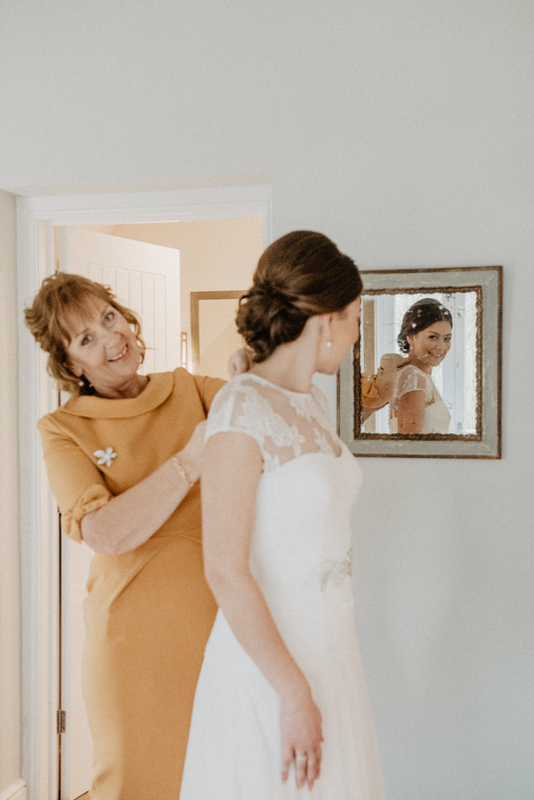 One of my favourite parts of the wedding has to be when Laura'a dad first saw her in her dress. 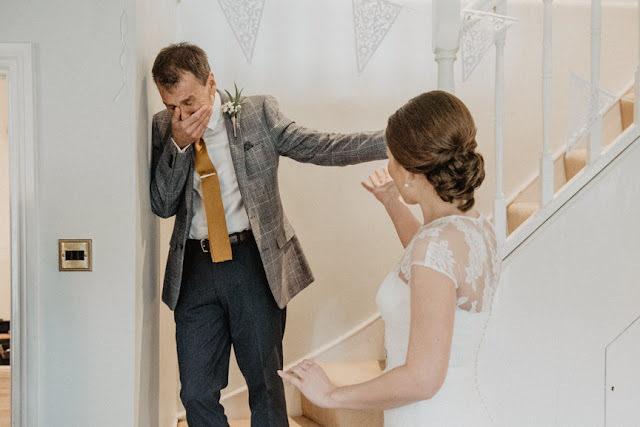 He was so overwhelmed!